Hello!! Here I a with a new nail art. 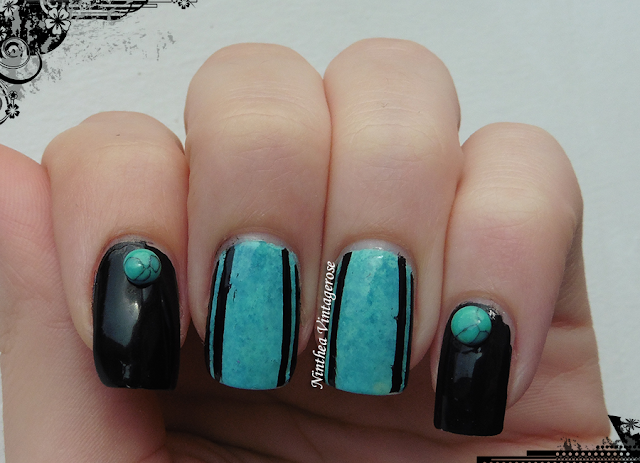 I decided to use the turquois that I received some time ago from BornPretty store. I painted mint base and sponged over a darker color. 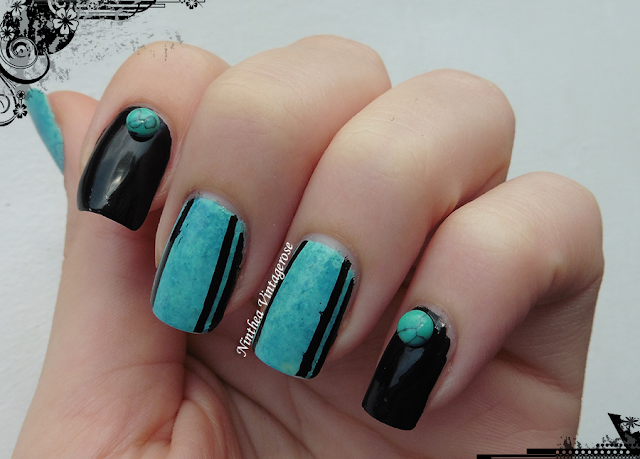 The I added some black lines at the side of the nail. 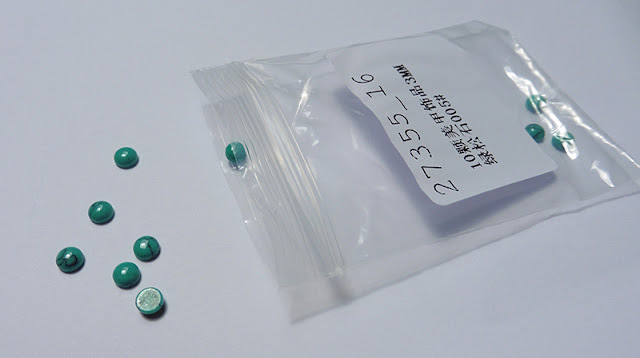 Description: 10 flatback turquoise. There are also different colors and shapes. I chose the round 002 which size is about 3 mm. 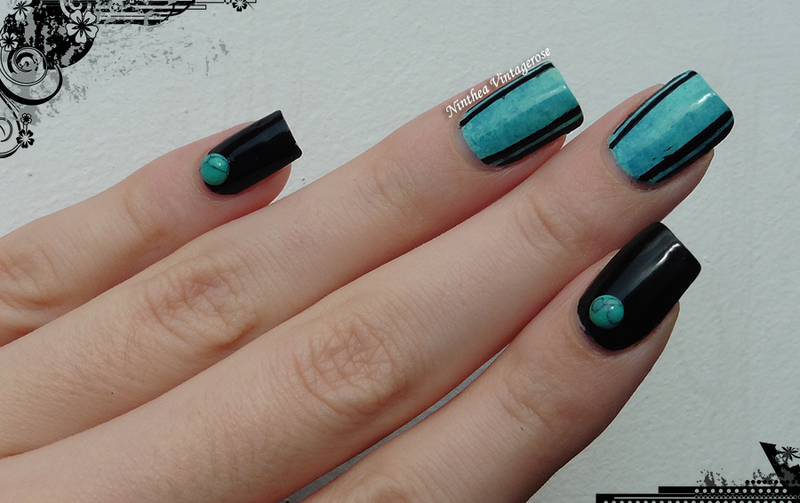 I love how you did a turquoise look on your middle and ring finger. These stones are awesome! What a beautiful mani, I love the contrast betweend the turquois and the black! Che bella manicure, quegli studs stanno proprio bene! Nešto su mi krupni ti kamenčići, ali sviđa mi se manikir kao celina. Very nice stud and I like the nail polishes you combined it with.